A late goal from Stephan El Shaarawy earned AC Milan three valuable points in front of their own fans, as they failed to impress but hit in time to secure a 1-0 win over Genoa at San Siro. The youngster celebrated his birthday in style with a simple finish after good work from Ignazio Abate, but there were few festivities following a less than convincing performance from the home team. The Rossoneri, bruised after Champions League defeat to Malaga which had heaped pressure on Massimiliano Allegri, started by dominating control of the ball across the pitch, with Genoa afforded few touches as they defended from deep. Despite this early possession, however, chances were few and far between for Milan. Indeed, the visitors were the first to record a shot on target, Bosko Jankovic trying his luck from distance with a free kick that was saved comfortably by Marco Amelia. Cristian Zapata was then left thankful that his mistake did not put the Rossoneri behind in the first half. Dawdling on the ball, the Colombian defender was robbed by Luca Antonelli, who tried to find Ciro Immobile in the middle. Amelia tried to clear only for his punch to hit the forward, the ball finishing agonisingly wide of the left post to hand Milan a reprieve. The hosts continued to try and open the game, making extensive use of Urby Emanuelson out wide as they poured forward. 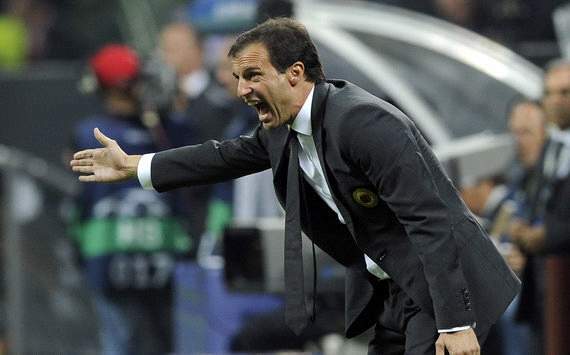 However, all too often Allegri's men fell apart in the final third, poor delivery and stout Genoa defending frustrating their efforts to get ahead. Mario Yepes had one of the few opportunities to fall to a player in red and black, steering a free header over the bar from Luca Antonini's cross. Celebrating his 20th birthday on Saturday, El Shaarawy was one of the players who looked most likely to create something. The youngster troubled Genoa throughout the opening 45 minutes with his talent on the ball, and went within inches of creating the goal to break the deadlock. Picking up a loose ball after an overhit corner, the forward got to the byeline and drilled across the face of Sebastian Frey's net, but no Milan man reacted quick enough and a frustrating first period ended with the sides still tied. The game restarted with Milan immediately looking to take the initiative, and substitute Kevin Constant just missed out on handing his side the lead. Alexandre Pato left his marker for dead on the right and squared across the goalmouth, but the midfielder could not reach the ball and the Rossoblu cleared to safety. Sebastian Frey was then called into action to save from Ignazio Abate, using his feet to deflect away the wideman's powerful low effort. After that early flurry, the second half developed in much the same fashion as before the break. Milan continued to hold the ball but could find no way through against a Genoa team content to play out a draw and look for opportunities on the counter, which made for a rather turgid encounter. At the other end, Genoa sporadically threatened Amelia's net. Alexander Merkel took a speculative effort which was comfortably claimed by the goalkeeper, before being rather more strongly tested with 20 minutes left on the clock. Daniel Toszer fired with power from outside the box, and Amelia had to get down low to hold the ball and keep his clean sheet intact. Just when the match looked destined to end in stalemate, however, Milan struck to take the advantage. There were big question marks over Ignazio Abate's positioning as he overlapped on the right, the midfielder appearing to be in an offside position when he received the ball. The flag stayed down, however, and Abate squared for El Shaarawy to net a simple tap-in and, with just over 10 minutes to play, secure three points for an underwhelming Milan. The win temporarily lifts the Rossoneri to ninth place in the Serie A, with 10 points from their first nine outings. Genoa, meanwhile, slip to 11th as they are leapfrogged by Milan in the standings.